It may be small, but its personality is without question, big. That’s what the Yorkshire Terrier or simply Yorkie is to many people. It has a temperament that is best described as insatiably curious that is well suited to its highly energetic personality. Bring it to a new place and its ears will be sticking out like a sonar array, its eyes rolling like a radar dish, and the rest of its sense super heightened. However nosy the Yorkie may be, it does have a rather impish sense of humor. They are alert, fast, and highly intelligent. They love nothing else than hearing the applause of their owners and the other people they associate with. Unfortunately, Yorkies do come with a predisposition for certain canine conditions such as dental issues, hypoglycemia, collapsing tracheas, hypothyroidism, and even subluxation of the patella. It is for this reason that they require the kind of dog nutrition that is appropriate for their breed. Don’t worry. 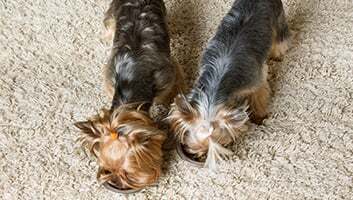 If you’ve just got a Yorkie and are wondering what food to give, here are 5 of the best dog food you can provide for your Yorkshire terrier. 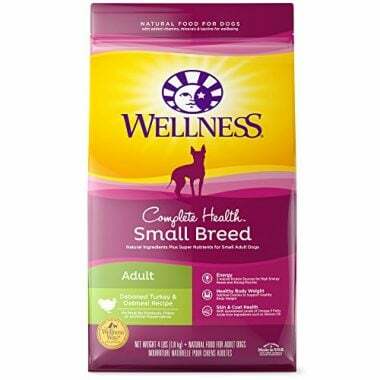 Wellness CORE’s Natural Grain Free Small Breed Dry Dog Food boasts of a special formulation that is intended for smaller canine breeds that may be more susceptible to a variety of health concerns that are not seen in larger breeds. It is a well-established fact that the best food for Yorkies is one that contains substantial amounts of calories owing to the inherently active nature of these breeds. Additionally, they also require plenty of protein as this nutrient is needed for optimum development of the muscles. 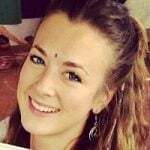 Interestingly, Wellness CORE has one of the highest concentrations of proteins and a commendable proportion of fats. This should be exceptional in providing the much-needed nutrients for your super-active pooch. You will also be glad to know that Wellness CORE has included chondroitin and glucosamine in this food for Yorkies. This is important as these breeds of dogs are known for developing joint problems especially collapsing trachea. Adding to its health benefits are 4 different strains of gut-friendly probiotics to help boost your Yorkshire terrier’s immune system which can be further enhanced by the addition of beta-carotene and other nutrients with antioxidant and immune-boosting properties. It’s free from cereal grains, too, opting instead for wholesome, healthier ingredients. No wonder a lot of folks are singing praises for the Wellness CORE. 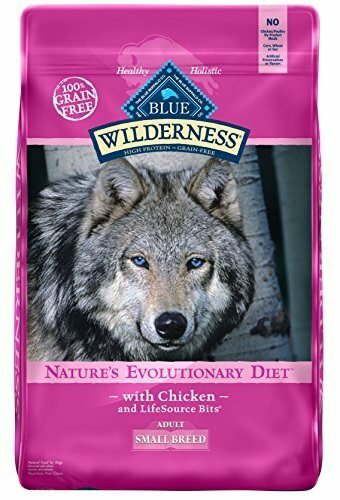 The main difference between the Blue Buffalo’s BLUE Wilderness Nature’s Evolutionary Diet from the Wellness CORE is that the former contains slightly higher fat content, more calories per serving size, and comes with 5 strains of probiotics for better digestive health. This Yorkie food is fully packed with proteins and fats sourced from all-natural ingredients especially deboned chicken and a variety of edible chicken parts. These nutrients, including joint-friendly glucosamine and bone growth-important calcium and phosphorus, are uniquely packed into Blue Buffalo’s LifeSource Bits technology, making sure your Yorkie receives the optimum nutrients that it deserves. Like Wellness CORE, the addition of glucosamine can help in the management of tracheal collapse while its high calorie content should propel your Yorkie pooch to more exercises and plays. 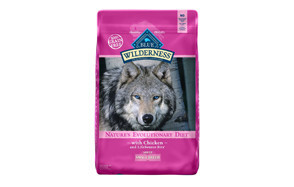 The BLUE Wilderness Yorkshire terrier dog food also comes without added artificial ingredients or even cereal grains. Instead, it comes with healthy, more wholesome, and antioxidant-rich fruits and vegetables. It really is one of the best Yorkie food products around. We can always think of the Wellness Complete Health Small Breed as almost similar to Wellness CORE except that the Wellness Complete comes with more calories per serving size. It also has an omega-6 to omega-3 fatty acid ratio that is nearer to the ideal of 3:1. This helps provide for a smoother and healthier coat for your Yorkshire terrier pooch as one of the really amazing characteristics of these breeds of dogs is their downy and almost-silky coat. However, this Wellness Complete food for Yorkies only contains about 20 million colony forming units of gut-friendly, beneficial bacteria. It should still provide for an amazing digestive health for your Yorkie pooch. One of the splendid things about the Wellness Complete is that 3 of its principal ingredients are an excellent source of proteins. While the overall protein content is slightly lower than the Wellness CORE, its sources are exceptionally less allergenic which can further enhance its hypoallergenic property owing to the exclusion of cereal grains in its formulation. Its protein is sourced from turkey, chicken, and salmon to give your Yorkie a doggie chow that is comprised mainly of leaner, healthier meats. Royal Canin is one of those brands of doggie chow that provides breed-specific formulations. For example its Breed Health Nutrition for the Yorkshire Terrier is filled with just the right amounts of calories, proteins, fats, moisture, and fiber that your Yorkie needs. It is especially formulated with EPA and DHA to help ensure healthier and smoother coats, a characteristic well-valued among Yorkies. 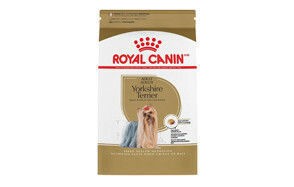 The Royal Canin Yorkie dog food may contain substantially lower protein compared to the other 3 in this list but you can be sure that it is of the highest possible quality. However, it does contain cereal grains such as wheat gluten, making it quite a concern especially among pet parents who are wary of such ingredients. Regardless, knowing that Royal Canin knows what it’s doing, you can bet that the inclusion of wheat can supply some of the amino acids that your Yorkie will need for healthier tissues. Adding to the nutrient profile of the Breed Health Nutrition is brown and brewers rice, excellent sources of energy for your highly active pooch. It also comes fortified with both chondroitin and glucosamine, two essential ingredients for ensuring optimum health and functioning of the joints. 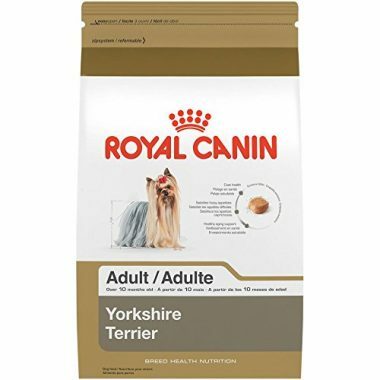 It also comes enriched with natural immune-enhancing substances, antioxidants, and anti-inflammatories, making the Royal Canin a good dog food for Yorkies. 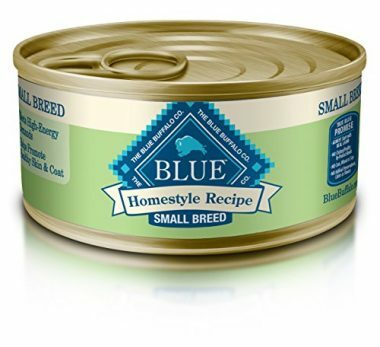 It may not be rich in protein, but the BLUE Homestyle Recipe Small Breed Lamb Dinner Wet Dog Food comes in a really delicious and moisture-rich formulation that is simply perfect for your sick or ill Yorkshire terrier. It is the best wet dog food for Yorkies for the simple fact that it is formulated with a near-ideal omega-6 to omega-3 fatty acid ratio of 4:1, further enhancing your pooch’s anti-inflammatory and antioxidant capabilities. It is also enriched with glucosamine that should help ensure the health of Yorkies’ joints. The Lamb Dinner is formulated with only real lamb meat, liver, and broth with the addition of healthy, wholesome ingredients. However, since its protein content is roughly less than a third of what you get from the best dry dog food for Yorkies, it is often advisable and is actually recommended to mix the Homestyle with your Yorkie’s dry kibbles. The moisture-rich formulation of the Homestyle should be a great mix to the 30% or so protein content of dry Yorkie food. It’s the perfect combination for a really healthy, nutritious, and delicious Yorkie meal. Being the parent of a young Yorkshire terrier requires dedication for its optimum care. And since nutrition is an important aspect of pet care, you should be able to provide them with the kind of doggie nutrition that is appropriate and specific to their breed. This often means looking into the following considerations. Younger Yorkies will often require greater amounts of proteins and fats compared to adults. Elderly Yorkies will also require higher protein levels unless they have kidney problems. Everyone knows that Yorkies are a very energetic bunch. However, not all dogs are exactly alike. Some pooches will be more active than others even though they belong to the same breed. As such, it is critical to talk with your vet to determine your pet’s activity levels and establish a baseline amount of calories that you need to give. Know that Yorkies are more prone to the development of certain health conditions such as hypoglycemia, sensitive tummies, patellar subluxation, and even tracheal collapse. Each of these conditions will require an entirely different kind of approach to its nutrition. Also, lactating and pregnant pooches as well as those that are currently sick will typically require a modification in their diet. What is the Ideal Nutrition for Yorkies? Most folks have this notion that since Yorkshire terriers are small they don’t need much food. While the amount of food that they can consume is significantly lesser than the amount you give to a Labrador or even a Pit Bull terrier, it still requires a good amount of proteins, fats, and healthy carbs. Let us try to have a basic understanding into the ideal nutrition of Yorkies. In case you haven’t noticed Yorkshire terriers have small mouths and even smaller teeth. This means they need dog food that comes in smaller bits as well as softer consistency. 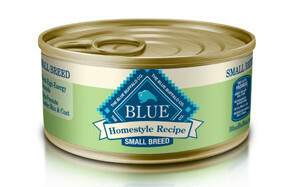 Most pet owners would recommend moist canned food although its lower nutrient profile can be a real issue. As such, these are often mixed with dry kibbles that have smaller-sized kibbles. Otherwise, if you choose a standard-sized kibble, you’d have to soften these up with water or perhaps break them down into smaller bits. Small as they are, Yorkies are full of energy. They can run about the whole day and won’t even seem to tire. As such it is important to give them high calorie doggie chow as this helps provide them with the energy to go about their business. On the average, Yorkies require about 150 kilocalories per day. However, if you’ve got a really hyperactive pooch, then it is technically safe to bump their feeding a bit to about 200 kilocalories per day. Now, in case you’re not sure how much to give, you can ask your veterinarian about the ideal amount. We don’t necessarily recommend strictly adhering to the feeding-per-weight recommendation of food manufacturers as these don’t take into account your pooch’s activity levels. Additionally, a high protein and fat diet is a must for a Yorkie. Running and playing require as much protein as they do calories. The reason is quite simple. Proteins build tissues especially the muscles. And with a very active lifestyle, your pooch really needs to develop those muscles. Moreover, it is inevitable that some of the proteins and fats will be used up as energy molecules especially if you don’t give enough carbs for your Yorkie to use as energy. As we shall see later on, Yorkies have the uncanny disadvantage of being more prone to hypoglycemia or reduced blood sugar in the blood. This leads to weakness. Just as Yorkies have very small mouths, they also have very tiny tummies and guts. It is for this reason that they will require dog food that is easily digestible. While this can be managed by making sure they receive small frequent feedings rather than one hefty lump sum of a meal, it is equally important to look for high quality ingredients and free from any allergenic material. What Ingredients Should I Be Looking for in a Yorkie Food? Based on what we have been discussing above, it is easy to understand what ingredients we need to look for in the best Yorkie dog food. Do take note that the actual proportion of nutrients can actually vary from one dog to another, often dependent on the age, the activity level, and the presence of any existing health condition that may require an adjustment of its nutrient intake. Nevertheless, the following are some of the key ingredients you need to look for in the best dog food for Yorkies. We already mentioned that Yorkshire terriers require higher proteins for two fundamental reasons: for continuous building and maintenance of tissues especially the muscles and for augmenting losses due to energy utilization. However, it is critical to look for high quality proteins often indicated by a specified animal source. If the label only reads “real meat” as compared to, say “real lamb”, then you should get the latter as you can be sure the protein came from lamb. It is also perfectly alright to look for byproducts as these often contain bones, blood, and internal organ meats that are rich in various nutrients. The only downside is that you have to take a look at the manufacturing process as byproducts are often trickier to process correctly. As for the protein content, go for dog food that contains, on the minimum, anywhere between 28% and 34%. If you’re especially averse to high fat diet, don’t project your aversion to your pet as they need fats, especially the healthier versions of it, for a variety of purposes. Since one of the distinguishing physical characteristics of a Yorkie is a super-smooth, downy coat, it is important to give it healthy fats especially omega-3 fatty acids. These fats also help enhance the development of the canine brain and eyes, allowing your Yorkie to play out its curiosity. On the average, your Yorkie should receive about 12 to 18 percent of fat in its diet, at the very minimum. Remember what we said about Yorkies being a hyperactive bunch? Since proteins are necessary for muscle and organ development and fats for nervous system and integumentary health, these two macronutrients should be spared as much as possible from being converted into usable energy. As such, carbohydrates will have to be supplied. However, only high quality carbs should be provided such as fruits, veggies, and wholesome whole grains. While some manufacturers actually include cereal grains for their added amino acids, if your pooch has allergies, these may not be good options. Sweet potatoes, peas, and carrots are often included in such food items as these provide exceptional antioxidants and other healthy nutrients. What Health Issues Should I Be Wary with My Yorkshire Terrier? Since we’re talking about nutrition for your Yorkshire terrier, let us take a briefer into some of the more common health conditions that affect this breed of dog and how nutrition can play a role in their prevention and management. This condition is characterized by the unusually low levels of sugar in the blood, leading to decreased energy levels and lethargy. One way to manage this is by providing your Yorkie with smaller yet more frequent feedings so that it doesn’t suffer abnormal crashes in its blood glucose levels. Also known as patellar subluxation or luxating patella, this is a knee condition that is very common in small breeds like Yorkshire terriers. In many cases it has a genetic origin, although it is not unusual that trauma can play a role in its development. Oftentimes, surgery is required to help correct the problem. In such cases, proteins are needed for tissue repair. This condition of the trachea is characterized by the weakening or even the incomplete formation of the cartilage that make up the rings of the trachea. This is where a dog food that contains chondroitin, MSM, and glucosamine can help as these can help improve the health and functioning of cartilage cells. Small as they are, Yorkies have quite sensitive tummies, too. This is where doggie chow that contains probiotics can help. Additionally, refraining from giving them difficult to digest as well as allergenic food can help prevent waking up a hyperactive tummy. Yorkies are an adorable bunch. They are very curious and are full of energy that you’d have to be fit yourself to be able to keep up. As such, they need only dog food that is rich in high quality proteins and fats that are commensurate to their age, their activity levels, and their current or existing health conditions. You will also have to look for food that provides enough calories to fuel your little pooch’s daily activities. This is crucial in helping them prevent and manage some of the common health conditions they face. Yorkies depend on us to provide them with only the best and our list of the 5 best dog food for Yorkies can get you started.